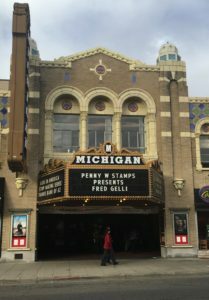 The night opened up like any other Penny Stamps Speaker Series lecture, with lively organ music ushering the crowds into the theater. An attuned ear might notice that tonight’s choice of music included none other than the Brazilian national anthem, fitting the esteemed speaker of the night. 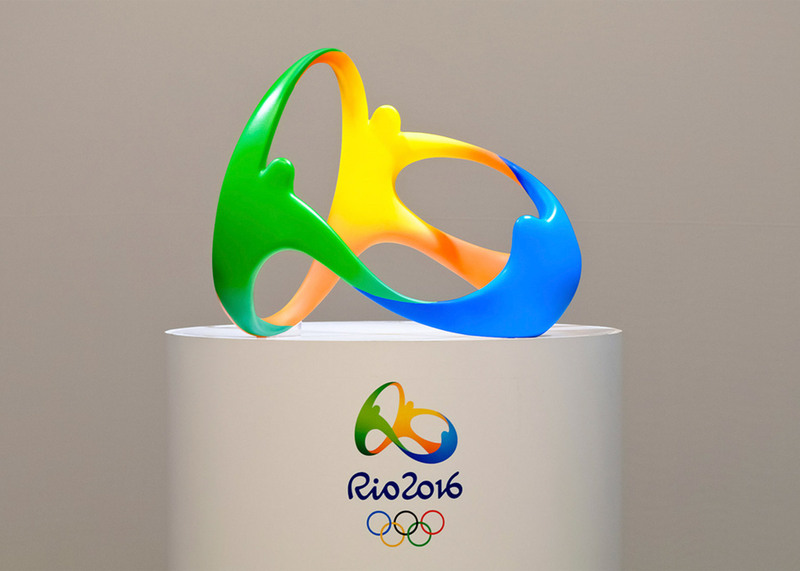 Fred Gelli is an influential Brazilian designer and creative director of the design consultancy Tátil, most recently known for creating the visual identity of the 2016 Rio Olympics and helping plan the opening ceremony of the 2016 Rio Paralympics. Gelli, through Tátil, has also worked with clients as far-ranging as Coca-Cola, Procter & Gamble, Walmart, Philips, Nokia and more. 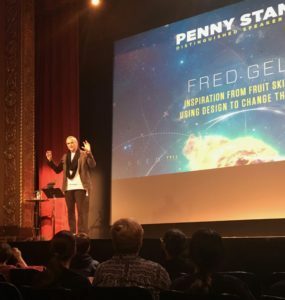 When Fred Gelli finally took the stage, the very first thing he mentioned was the beauty of Ann Arbor in the fall, pulling out a pristine orange leaf he had tucked into his front shirt pocket. This served as a perfect transition into a discussion of his primary source of design inspiration, nature. He talked at length about how nature has already perfected design, outlining where he takes inspiration from items as mundane as fruit peels, and then uses these natural designs to solve very human problems. He then went on to discuss his involvement in the 2016 Rio Olympics and Paralympics. His design team had been selected from a group of 139 teams all competing for the same spot. First entering the crowded application room, he didn’t dare to dream that he and his team would be selected, but as the groups were narrowed down it looked more and more like his dream of designing the Olympics would become a reality. Designing the logo for the Olympics was a huge challenge, as it will be seen the world over in nearly every form of media possible. The final design had multiple layers of meaning. It featured green, yellow and blue to represent the Brazilian Flag, it looks vaguely like the word “Rio,” and the shape of the logo was directly inspired by the natural landscape and mountains surrounding Rio. The following video clip was shown during the presentation. His team also had the privilege of not only designing the logo for the Paralympic games, but also orchestrating the opening and closing ceremonies. He had chosen to work on the Paralympics opening and closing ceremonies despite being offered the Olympics as well because of the artistic freedom and relative low pressure it would provide. The following video is a montage of some of the best moments from these performances. While Gelli may have quipped about English being his second language, following that up with “but I’m sure it’s much better than your Portuguese,” he was well-spoken throughout the lecture, eloquently giving us a peek into his creative process. If you are interested in the Penny Stamps lecture series, I implore you to take a look at the upcoming lectures here. http://stamps.umich.edu/stamps They are held every Thursday at 5:10 PM in the Michigan theater and are free to the public!